Here at FitLife, we like to EAT. Almost as much as we like to juice! Today I want to talk to those of you who are still struggling with losing that last 10 or 20 pounds (or more). People go years and years with extra weight around their midsection or other areas of their body and eventually give up trying to get it off because when they fail, they are ridden with guilt and lack of confidence. Maybe you’re one of those people and I want you to know that you are not alone! YOU, my friend are exactly who this article is for and I am eager to share with you some fairly simple tips to get you moving in the right direction – without starving yourself. Starving yourself just to look skinny takes the fun out of life. And it’s not healthy. We’ve all been there before… getting so frustrated when we look in the mirror or jump on the scale that we decide then and there that we are going to eat WAY less and exercise more. After All, losing weight is all about burning more calories than you eat, right? Turns out – this generally is NOT the case. Calories are a man-made unit. Although some foods do contain ‘more’ than others, it doesn’t necessarily mean those calories are going to turn into extra fat if you don’t walk enough miles on the treadmill. It’s much more about WHAT and HOW you eat (roughly 80% of your results) as well as HOW you exercise (about 20% of your results). So please, forget about calories and let’s focus on things that are much more reliable. Again… starving yourself is NOT the best or the only way to lose weight! When you fill yourself up with the RIGHT kinds of foods, you will feel full and satisfied. You will start feeling so good that you won’t need to eat emotional ‘comfort food’ because you will crave green juice and delicious dishes rich in micronutrients and ENERGY. Here are 10 ways to start losing that extra weight WITHOUT starving and while STILL ENJOYING delicious food! A lot of the time you when you’re feeling hungry you might actually be THIRSTY. People who are chronically thirsty tend to eat more food to compensate, without ever realizing that they are not giving their body what it’s asking for. How do you know if you’re dehydrated? Consider this: if you’re thirsty, you’re already dehydrated. Before reaching for another snack, try SLOWLY sipping a full glass of water. Give yourself ten minutes before deciding if you’re still hungry. In Ayurvedic medicine they teach that the right way to drink water is by slowly sipping it instead of gulping it down. If you’re gulping down a lot of water, a good portion of it is going to flow right through you and make you have to pee constantly. Sipping it ensures the body has time to absorb as much as it needs before expelling the rest. So even if you think you’re drinking enough water, try to focus on HOW you’re drinking it. Keep your favorite water bottle with you always. I like to carry a glass water bottle because then I can squeeze some lemon in it or drop a few pieces of fruit to infuse. Flavoring your water with fruits, veggies and herbs is a great idea for people who don’t really like drinking water. Most people in America are nutritionally starving. They mistakenly reach for foods that may fill an emotional need but not a physical one, leaving their body tired and heavy. Foods low in nutrients may fill them up temporarily but not supply the body with what it needs to produce energy and vibrancy. They eat things that are nutritionally deficient because they don’t know any better. I know that YOU on the other hand DO KNOW BETTER. At least because you are here reading this page I know you are interested in bettering your health and the well being of your family. You are learning to eat foods that are loaded with micronutrients. Foods that will not only leave you satisfied but will give you amazing energy and a beautiful, radiating complexion! Green juices and green smoothies are one of the best habits you can pick up if you want to turn your health around for the better. Do your best to stick to a 80/20 veggies/fruit ratio when you make these drinks for best results. If you are used to drinking things that are super sweet, start 50/50 but work your way closer to 80/20 every day. Your taste buds will change and soon you will be enjoying these veggie filled drinks just as much as you use to enjoy ones filled with mostly fruit. 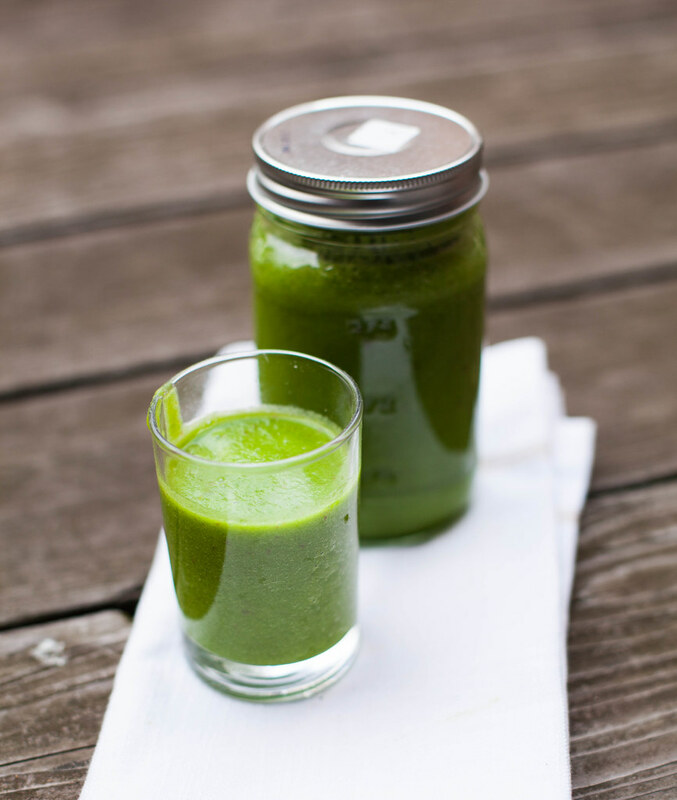 What are some benefits of green juices and smoothies? If you make them right, you simply can not go wrong with adding these to your daily diet. Grains give you a lot of calories and often ingredients (preservatives, sugar, corn syrup, additives, GMOs, etc) but not a lot of energy. In fact, if your diet is full of grains you probably experience a lot of bloating, gas, extra weight and digestive issues. Your body may have grown accustomed to this way of life and more often than not, it becomes many peoples “normal” – but it doesn’t have to be. Instead of NOT eating something, fill your belly with something better but still tasty! Remember, we are not about starving ourselves here. You should always have GOOD options for something to snack on when you have the munchies. I don’t want you to feel like you are LOSING anything here but POUNDS. Think QUALITY, WHOLE, REAL UNPROCESSED FOODS. Takes some practice but don’t give up! Without enough protein your body can’t function properly. Your nerves, bones and tissues are all built out of proteins and need them for repair and growth. You also need protein in order to create antibodies that fight viruses, bacteria, toxins and other substances that may otherwise harm your body and compromise your immune system. Proteins take longer and more effort to digest leaving you fuller for longer and also quickly satisf ying your appetite. WebMD claims that a high-protein diet may help you to lose weight and curb your appetite. When thinking protein think: organic eggs, organic lean meats, wild-caught fish, quinoa (this is a seed, not a grain), nuts and seeds, nut butters like almond and cashew butter. Americans are paranoid about fat! Due to misinformation that has circulated over the past few years about the dangers of fats (it makes you fat, increases your risk for heart disease, etc.) many Americans are shopping specifically looking for things that are ‘low fat’ or ‘fat free’. Not only does this lead them to foods PACKED with nutrient-deprived ingredients like white sugar, artificial flavors and tons of empty calories, but they are also depriving their body of one of the most important tools needed for survival: healthy FATS. Your body NEEDS HEALTHY FAT to FUNCTION! When you don’t get enough fat, your body will increase your appetite in hopes it will get more. Why do you need fats? Fats are a MAJOR fuel source for your body! You NEED fat in order to absorb things like antioxidants and fat-soluble vitamins (like A, D, E and K). Omega-3 fatty acids are vital for brain function, development and growth. Omega-3 fatty acids are also important for HEART HEALTH and have been shown to fight inflammation. Fats slow down digestion and satisfy your appetite, leaving you feeling full for longer periods of time. When you think of healthy fats, think of things like: coconut oil, olive oil, raw nuts, avocado, wild-caught fish, almond and cashew butters. When you think UNhealthy fats to avoid, think of: trans fats, fast food, fried foods, canola oil, safflower oil, etc. Every pound of muscle you put on (boy OR girl) you burn an extra 65 calories a day. More muscle = more calories burned. If you are stuck at a certain weight, seriously consider picking up weights at least 3 times a week and PUSH yourself. You will be amazed at the results! Lifting weights will increase metabolism and help you burn extra fat even when you are not working out. One study conducted in the Netherlands found that when young men did weight training for 18 weeks their metabolism sped up by 9 percent! Ladies… don’t be afraid to lift heavy! You don’t produce enough testosterone to ‘bulk’ like the guys do and will only get defined, toned muscles and curves. We live in a fast paced go-go-go society. It has become common to grab food as you’re walking out the door or eat on the run. Often times you may find yourself scarfing down food during a short break or when you’re starving at the end of the day. This isn’t the most effective way for your body to eat and digest, as it takes 20 minutes to register being full, leaving you a lot of time to eat extra food that you don’t really need. If you eat slowly you are less likely to overstuff yourself. You will stay fuller longer. You will become more “aware” of what you eat and more intune with your body. When you set aside time specifically to eat, you will feel better mentally and physically and you won’t even miss the extra calories you use to eat because you didn’t register being full. If you wait more than 4 hours before eating, you will be REALLY hungry and eat too much. You will also be more likely to eat bad food that is easy to make or readily available. Carry healthy snacks with you every day like raw nuts and seeds, dried fruit (unsweetened), veggies and hummus dip, etc. You’ve already taken a big step by making it to the end of this article. I know that you’re busy and that you have a lot on your plate (haha). I know that some days it’s all you can do to whip up an easy meal that may not be as nutritious as you’d like. You come home from work tired and just want something easy to make so that you can relax and enjoy your evening. I challenge you to dive into the health world and find new recipes that will give you more bang for your buck. You eat several times a day every single day, learning to do it right is most certainly worth learning about! Plus, once you start eating right on a regular basis, you won’t be so tired at the end of the day and soon you won’t be able to eat any other way because you LOVE the way this new lifestyle makes you feel. Healthy food can – and should – taste AMAZING. I promise. You’ve spent your entire life learning how to cook and at a certain way, now you need to put some serious time and effort into learning a new way to shop, cook and eat. I PROMISE IT IS ABSOLUTELY, WITHOUT A QUESTION, WORTH IT. Life becomes that much more enjoyable when you begin providing your body the key components to health and happiness. Google ‘paleo’ recipes or others that fit your specific needs. There’s a ton of info out there these days and plenty of recipes. We’ve got a ton on our website too! Remember… losing weight doesn’t have to be MISERABLE. Once you learn HOW to eat and cook healthy, you’ll gain confidence in the kitchen and begin enjoying the process, which is half the battle! Take the time to invest in your well-being and that of your family. You deserve to live a vibrant existence and it IS possible. Feed ingredients into your juicer. You deserve to THRIVE… not just SURVIVE, my friend. Follow FitLife.TV for lots of awesome recipes! Download our recipe app for more inspiration.